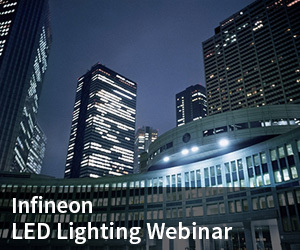 Infineon, as a well-known system provider, offers the optimal solution for LED Lighting applications starting from LED tubes up to high power LED drivers with the powerful combination of CoolMOS™ CE and the suitable LED Driver ICs. CoolMOS™ CE offers an ideal price/performance value with no compromise on the proven benefits of superjunction technology: it comes with low conduction and switching losses that improve efficiency and ultimately reduce power consumption. CoolMOS™ CE comprises 500V, 600V, 650V and 800V devices targeting LED lighting and further applications like LCD and LED TV. In addition, Infineon has recently launched several new LED Driver ICs suited for various topologies requiring different voltage classes being the perfect match to the broad CoolMOS™ CE portfolio. Eva joined Infineon Technologies in 2013 and since then works in the Product Marketing Team for High Voltage MOSFETs. In her role she is specifically focused on Lighting applications for HV MOSFETs, which allows her to gain valuable experiences on a day-to-day basis in this dynamic environment and follow market developments closely. Stefan has worked in the semiconductor industry since 2009. At Infineon Technologies he is responsible for the MOSFET section of Lighting. On the one hand he is working as an Application Engineer, which gives him the opportunity to build up application knowledge. On the other hand he develops specific customer parts as a Product Engineer. "CoolMOS™ CE and LED Driver ICs- the ideal combination from LED tubes to LED drivers"